Similar to exercise, there is a lot of misinformation surrounding diet. One article you read says that coffee is good for you, but another article says that caffeine is bad for you. Which article is correct? The answer is pretty simple. Yet again, if the caveman didn’t consume it then it probably goes against nature’s intention. And if it goes against nature’s intention then it probably isn’t good for you. Personally I believe that the only liquid the human should consume on a regular basis is water, and lots of it. If you or anyone in your family is consuming soda or milk you are poisoning yourself. The major protein in milk, casein has been implicated in studies as the likely cause of cancer. The sugars in soda are also suspected in “feeding” cancerous cells. Milk and sugary drinks like soda are what I call liquid poisons. Unfortunately we have been bombarded with advertisements and slogans like “Milk…it does a body good.” This couldn’t be further from the truth. Science is starting to reveal all of the hazards of consuming dairy products. Cardiovascular disease, cancer, and diabetes can all be linked to consumption of dairy. Take it back to the days of the caveman. What do you think he drank? Water, water, and more water. Can you imagine a caveman attempting to drink milk? I doubt our ancestors ever attempted to crawl underneath a wild buffalo and sneak a few drops of milk. It’s pretty funny to think about a caveman trying to drink milk directly from a wild bison, but it is a great way to emphasize how unnatural the concept of drinking another animal’s milk is. Who among us would drink milk straight from a cow’s udder? Disgusting! Yet somehow we find it acceptable to chug a glass of milk with our breakfast, against nature’s design. Infants and toddlers have a special enzyme that they produce to process their mother’s breast milk, but that enzyme disappears as they enter into adolescence. Again we see that nature intended for babies to drink their mother’s milk but not other animals…and especially not into adulthood! Did the early homo sapien breastfeed? Certainly! It is natural and the perfect design for the growing baby. I already can imagine what some people are thinking…cow’s milk has protein and it’s good for you. Yes, cow’s milk does have lots of protein. It has the perfect amount for a baby cow, but way too much for a baby human, or even an adult. As a society we eat way too much protein, which has negative affects on our health. Take the Atkins diet as an example. It disappeared for a number of years because it was killing people…literally. The volume of protein was ripping tiny holes in the kidneys of people on the diet. It later reemerged with a higher water intake requirement to attempt to compensate for the harmful effects of excessive protein intake. This will be addressed later in the chapter. Soda…the other liquid poison that is slowly killing our society. Unlike milk, soda has absolutely no nutritional value whatsoever. There is never a reason to drink a soda…ever. One of the root causes of disease in America, in my opinion, is sugar consumption. Studies have shown that eating sugar has the same effect on the brain as cocaine. Why would you expose your child to this product? As a society we frown upon alcohol and marijuana as gateway drugs, yet we stuff our kids with sugar on every special occasion. Then we wonder why we are seeing a rise in ADHD. As this book is being written, 12% of American children are currently diagnosed with ADHD. It is becoming an epidemic. Looking at the data from the CDC website, the rise in ADHD coincides with the invention of high fructose corn syrup. I propose that sugar consumption is the main proponent of this disorder. And that is just one negative effect. Obesity, diabetes, cancer, and cardiovascular disease all relate to sugar intake, particularly soda. I can’t think of a good reason to ever give a child a sugary drink like a soda. Whenever I have this discussion with parents the argument is often the same, “We only drink soda on special occasions and we rarely buy it to keep in our home.” The problem here is that there is a special occasion almost every weekend. Between birthday parties, sporting events, and holidays there is always a reason to celebrate. If you give your kids soda you are exposing them to the real American gateway drug…sugar. I take a hard-lined approach with soda, as there is no nutritional value and numerous reasons to avoid it. My children know that they are only allowed to drink water and they live full, happy, healthy lives. They can focus in school, play all day without running out of breath, and they rarely get sick. I see no reason a child should ever be given a soda. Water, on the other hand, receives the physiological stamp of approval. Every morning when I wake I drink a full glass of water. At night before I go to sleep, again I drink a full glass of water, and throughout the day I drink water constantly. Dehydration is a huge problem in our culture and it can lead to many of the common conditions that we suffer from, including headaches and constipation. As an aside, let me recommend another health tip. The next time you are suffering from a headache, instead of reaching for the Tylenol first, trying drinking water. In my estimation up to 80% of headaches are caused by dehydration alone. It is now very rare for me to get headaches, but when I do I start to chug glasses of water. Usually after 1-2 glasses the headache will start to subside. On occasion I will have to drink 4-5 glasses before it goes away, and on very rare occasions the headache won’t go away, so I just go to sleep and it is gone by the time I wake up. Warning-side effects of this method include needing to use the restroom! Now let’s take a look at the concept of dieting as a whole. It always seems goofy to me when people talk about going on a diet. By definition, a diet is a temporary change. Yet people act surprised when a diet doesn’t yield permanent results. I have news for you: if you want permanent results you will have to make permanent change. Don’t go on a diet, change your eating habits. That is the only way to get results that last. I recommend doing things slowly to give your physical and mental body a chance to adapt to the change and increase your chance for success. I think another reason so many people fail when they try to make changes is they try to do too much too quickly. Although I am not going to take the time to tell you exactly what to eat, when to eat it, etc., I will provide some simple steps and general guidelines to help you start your journey. Step 1-Eliminate liquid toxins like soda, sweet tea, and coffee with a bunch of sugar in it. If you have to have coffee in the morning or tea, I understand. I have been able to eliminate sugar in my coffee and I take it with almond milk instead of dairy. Once you have eliminated these sugary drinks and replaced them with water you will feel a lot better. The pounds will slowly start to disappear just with this one change. Keep in mind that I said slowly. This is not a “lose-weight fast” scheme. Just sound advice on how to make permanent change. Drink a full glass of water first thing in the morning, one before each meal, and one right before you go to bed at night. Your body will be better hydrated and will thank you for it. Step 2-Eat a salad for lunch Monday-Friday. You can have meat on it like chicken, shrimp, or beef. The main point of this step is to start to replace unhealthy dietary choices. Another hallmark of the standard American diet is lack of green leafy vegetables. Eating a salad each day will start to infuse your body with the nutrients that it needs to perform optimally, and you will also notice after a few weeks that your taste buds will change. You will actually start to crave a salad on the weekends too! I know because this is exactly what happened to me. 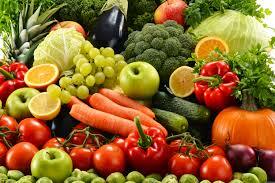 Step 3-Start replacing processed foods with natural products like fruits, vegetables, nuts and seeds. I would recommend packing a snack bag for yourself. Put whatever you like in your bag, but make sure it isn’t processed. Typically I pack myself a banana or two, and apple, an avocado (to throw on my salad), and a sandwich baggie full of trail mix. The trail mix is clutch on those days that you get really hungry! Between the salad for lunch and your fresh fruit snacks, you are well on your way to an optimal diet! Step 4-start limiting your intake of animal proteins. As I mentioned before, I try to limit my consumption of meat as much as possible. I do eat eggs and fish on a regular basis, but I avoid pork, chicken, and beef for the most part. During my studies I began to see a pattern emerge from a wide variety of materials that all pointed to the same thing-animal products like beef, chicken, and pork cause inflammation. I started thinking about how the caveman lived and it made sense to me that fish and eggs were consumed heavily. Think about it…early man always lived near a water supply, so fish were abundant and easy to catch. Eggs were also likely easy to come by near the water as many types of fowl nest there. I am sure the caveman ate meat as well, but I doubt that it was anywhere near the rate that we consume it today. I imagine that the major part of the caveman diet came from food that could be foraged: nuts, berries, fruits, roots, and even bugs. These are the steps that I have taken to improve my diet, and it has helped me enjoy optimal health. I very rarely get sick, my allergies have disappeared, I almost never get headaches, and I maintain a healthy weight with very little effort. In the beginning it wasn’t easy, but once my new healthy choices became habits I no longer needed to think about them. Eating a salad for lunch just became what I did every day. I can eat a lot because I eat the right foods and my body has grown to crave this type of diet. Counting calories is too complicated and that leads to failure. Take a page from the caveman playbook and eat tons of fruits and vegetables. No need to keep up with calories or weigh your food-it’s all you can eat! I often hear people say, “I could never eat like that. I like meat too much.” First of all, and I am a firm believer in this concept-what one person can do another can do. You CAN do it, you just don’t want to at this time. Most of us wait until there is some sort of serious health event before we make a change. It took a diagnosis of diverticulitis to open my eyes. Luckily that was not a serious condition and it disappeared immediately after I started eating right. Secondly, don’t underestimate the body’s ability to adapt to your new routine. As I mentioned before, I began to crave salads on the weekends after only a couple of weeks of eating one for lunch. On very rare occasions I will get a hankering for a steak or some bacon…so I have some! The key to successful dieting is not to diet at all, but to make permanent changes. You don’t have to be crazy about it, just stick to the plan above and realize that it took years for you to get to where you are today, so logically it will take years to reverse any damage you have done to your body. At the time that I am writing this book, my journey towards optimal health has been over ten years in the making.